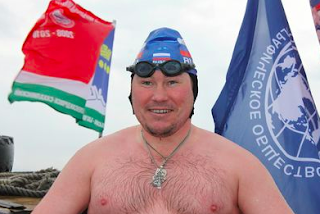 Alexander Brylin is organizing the International Swim across the La Pérouse Channel, an unprecedented 40 km international relay between Sakhalin, Russia and Hokkaido, Japan in September 2019. We also are thinking about organizing a test swim in Otaru on Hokkaido in February 2019." Qualified swimmers should contact Irina Makarova of the Interregional Cold Water Swimming Association in Russia at irmak_05@mail.ru.